Young Heroines of 디즈니 Penny (from Bolt) will be in it?! 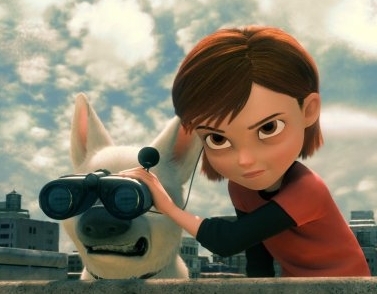 Meet Penny (from Bolt) who was the "new" girl in Disney Young Heroines. What do you think? Like, totally agreed. I hate Penny from Bolt, but hey, I also hate when not everyone gets included, so what the heck, YES!!! Does too matter and THANK you kiaragirl200 for agreeing! It's not ridiculous, it's life. And even though life isn't fair, this club's lineup should try to be. SHE IS DISNEY and this is the YOUNG HEROINES OF DISNEY. And last time I looked, she was a young heroine. Penny B should be in the lineup! SnowSpirit is gonna point and who is the other Disney young heroines and NO PIXARS ALLOWED (Penny from Bolt is NOT one of the pixar). Anny objections? If not speak now or forever hold your peace! I think if Penny can be in the line-up then so can Boo because PIXAR is owned by Disney. But Tiger-Lilly is hardly featured in Peter Pan. Where's Violet from?